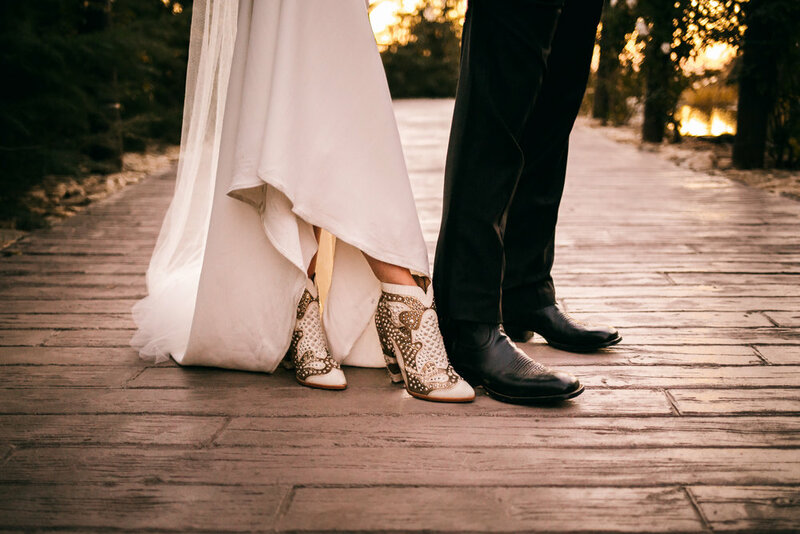 When Toni & Brendan first came to tour Serendipity, they had already decided it was where they would be married. 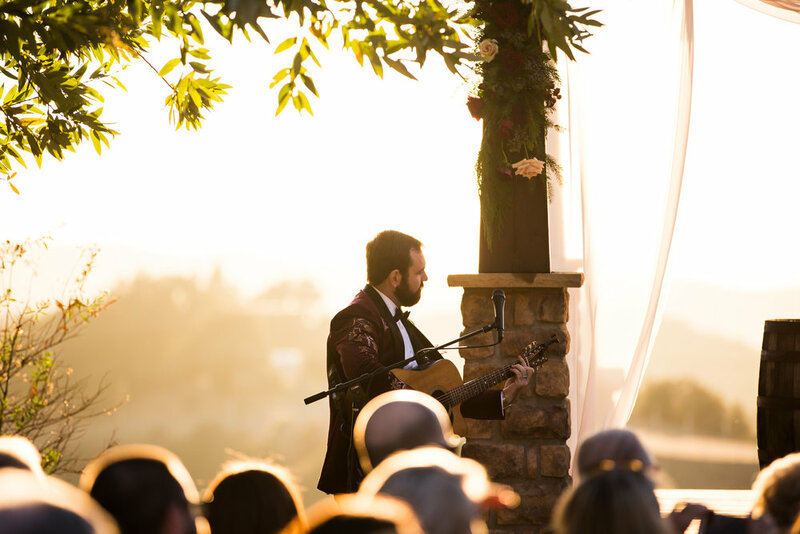 Brendan had very specific ideas about what their wedding venue should offer, including beautiful cliffside views, surrounded by mountains, a barn & even tri tip dinner! We were pleased to check all of their boxes. December 1st was a beautiful, sunny & warm day. Toni & Brendan said I Do as the sun set behind them. 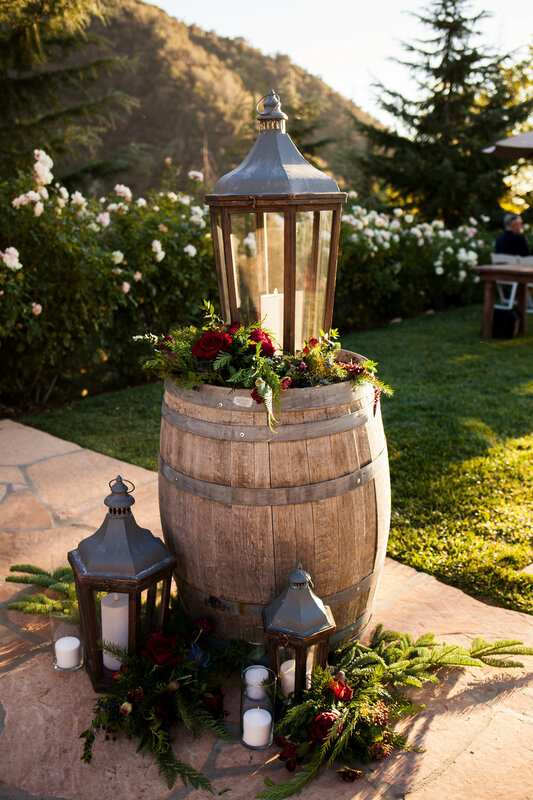 Their guests enjoyed Blood Orange Margaritas & sparkling rose - as well as a custom Apple Cider & donut bar! Here's Toni with more about the inspiration behind the day: We wanted a short engagement so when it was time, we inquired about any available dates in the fall at Serendipity - we were surprised to hear they only had Mondays in October, Thursdays in November & Fridays in December! We picked the first Friday in December & it couldn't have worked out more perfectly. 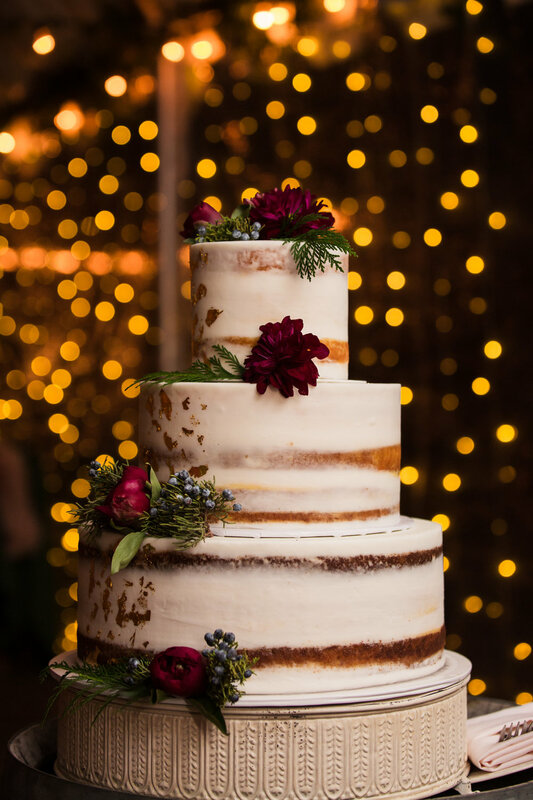 The weeks between Thanksgiving & Christmas is our favorite time of the year, so we let that set the tone for our wedding day in color & overall feel. 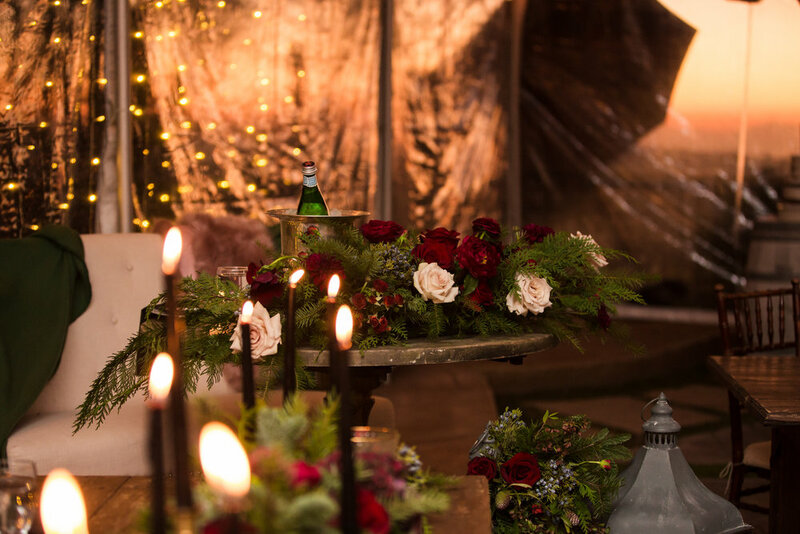 We chose moody winter hues like navy blue & burgundy & worked with our florist to incorporate Christmas greenery throughout. The grooms 94 year old grandmother, Gigi, read 1st Corinthians, which has become a tradition among her grandchildren. 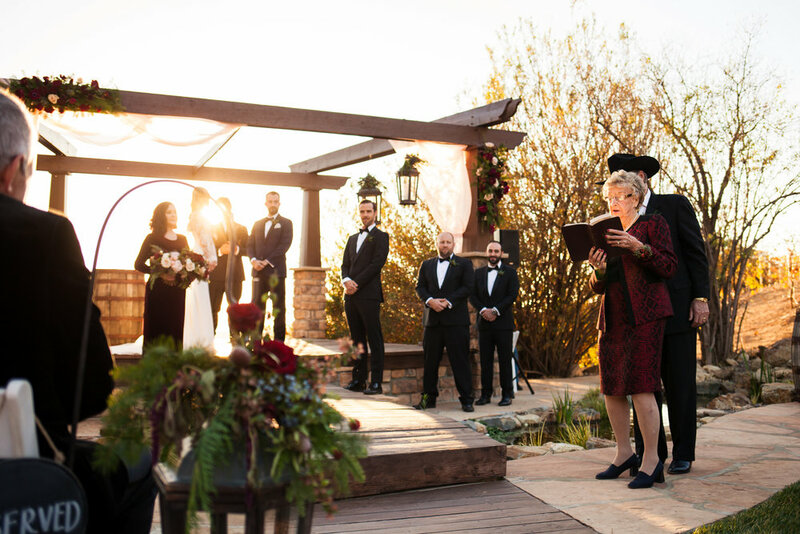 Gigi had the Bible she read from inscribed with the bride & grooms names & wedding date, which she gifted to the newlyweds after the ceremony. The bride found her Anne Barge dress & "December" headpiece at Kinsley James Couture in West Hollywood. They chose the theme song from Dirty Dancing as the last dance. The crowd went wild when they pretended to attempt the famous lift! Their advice for couple currently planning their wedding at Serendipity: Don't procrastinate! Plan everything well in advance so the last weeks leading up to your day can focus on what really is important - the love you have for each other & the family & friends who will be celebrating with you. Nothing is ever perfect, so don't worry about that. 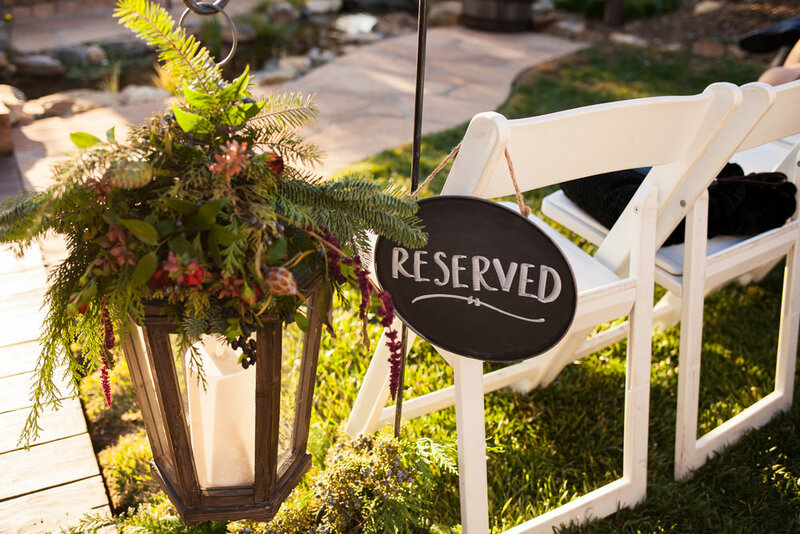 Just trust your vendors & the team at Serendipity to keep your day running smoothly so you can just enjoy the moment. Congratulations!